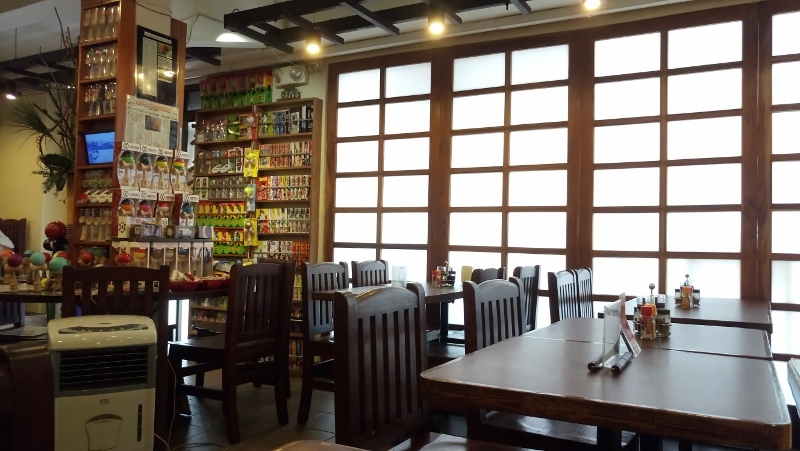 Because I’m a fan of Japanese ramen, I can’t miss out a single authentic one even this hidden little restaurant in Tomas Morato, Quezon City. Goen in Japan is a five yen coin and is considered good luck. 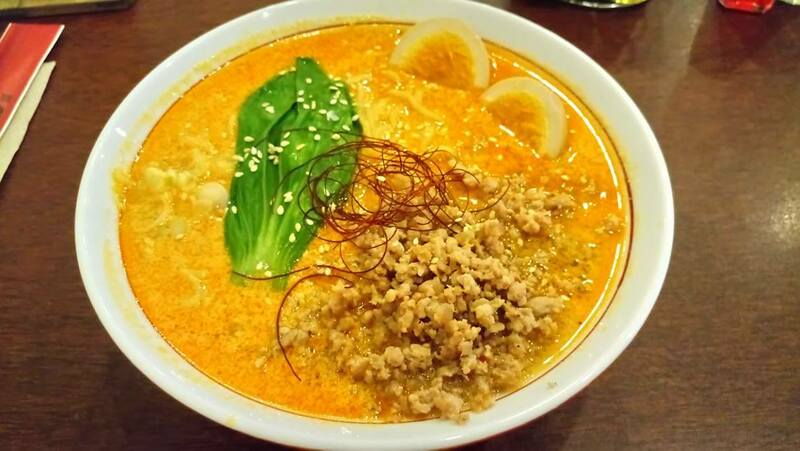 Their recipes are direct from Japan with secrets from some of Tokyo’s finest ramen chefs. The ambiance brings in various bits of Japanese culture to enhance the experience of customers. 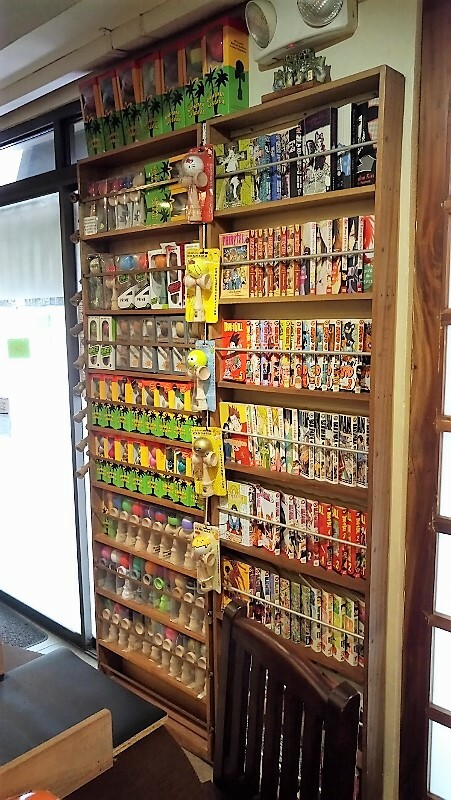 They have Japanese magazines, manga, and a famous traditional game: Kendama (three cups and a spike which fits into the hole of the ball). 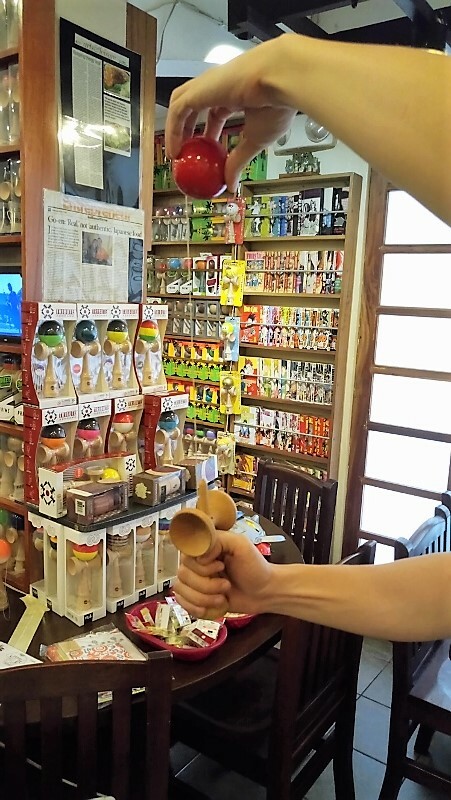 After we ordered, the staff encourages us to play Kendama or read manga to entertain ourselves while we wait for our food. She said that serving may take a while because they want to ensure the freshness and good quality of their ramen. 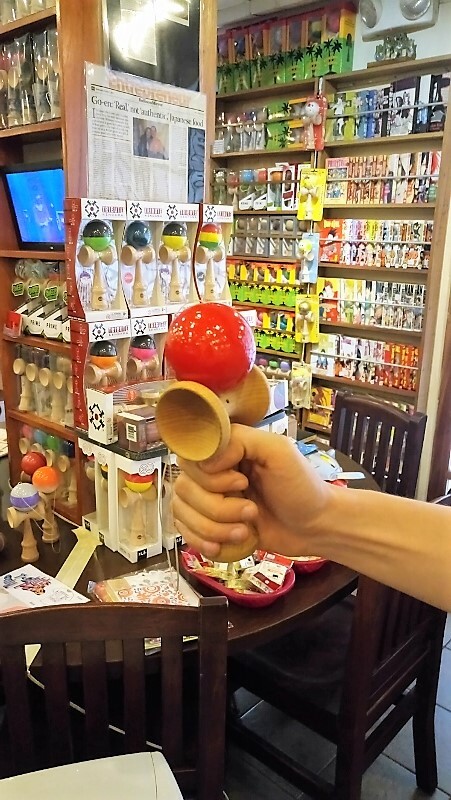 The staff teaches us different techniques on how you can play the kendama. 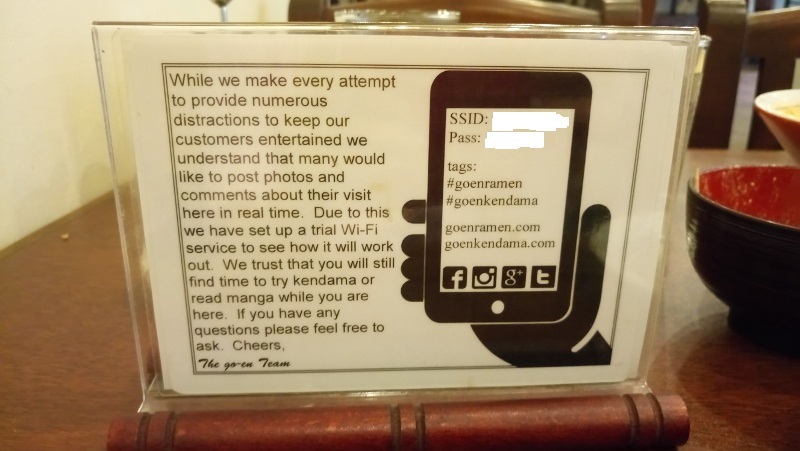 Goen encourages their customer to play kendama by having a different game every month for a chance to have special discounts on their ramen. For the month of July, you have to shoot the hole of the ball into the stick. It’s actually harder than it looks. Ten tries for each person. No discount for my ramen, while my companion is lucky to shoot it twice so he had a 20% discount on his ramen. Because we are too excited in playing, our food arrives in no time. But thinking about it, the serving time took 15 mins despite that we are the only customer during that time. No wonder they put several distractions to keep customers entertained while waiting for the food to be served. I think they did a pretty good job! We didn’t get bored at all. 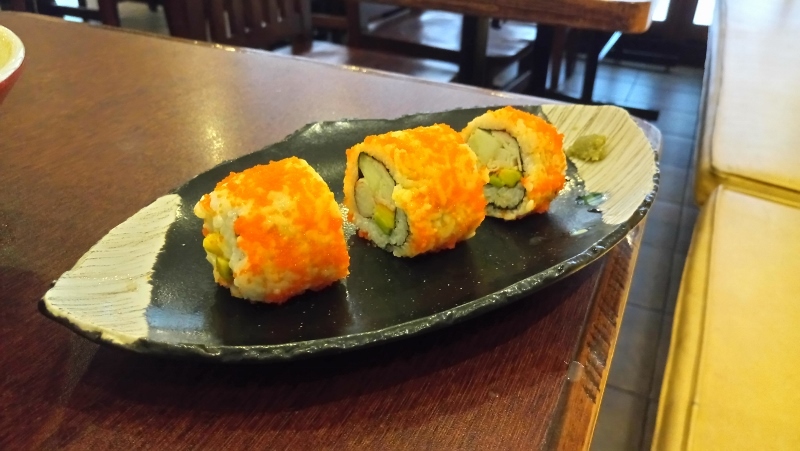 The 3 pcs of california maki were huge. But the taste doesn’t have the wow effect. This is what you shouldn’t miss! The ramen! I always ordered for tantanmien if it’s available in the menu. It’s one of my favorites because of the sesame broth that gives a nutty taste compared to other broths. I can say that this is one of the best tantanmien I ever had. I can’t decide if Ukkokei is better or this one because I couldn’t quite remember the taste in Ukkokei. But, this will be one of my go-to tantanmien whenever I’m craving for one. This one is an innovative take on ramen chemistry. 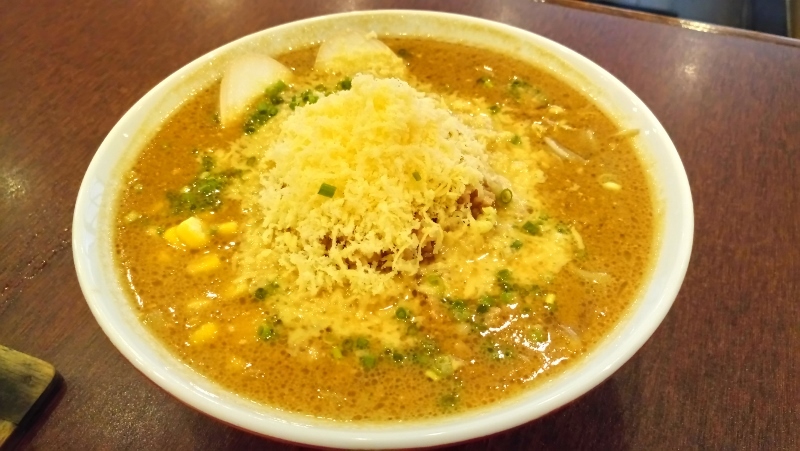 The miso based soup has moyashi, corn, ajitsuke tamago, and topped with a mound of minced pork and cheese. The little mountain echoes Fuji-san in winter. We’re told that the trick is to gently add a bit of cheese each time. But mixing it all together will work too. Our Total Bill was Php 904. 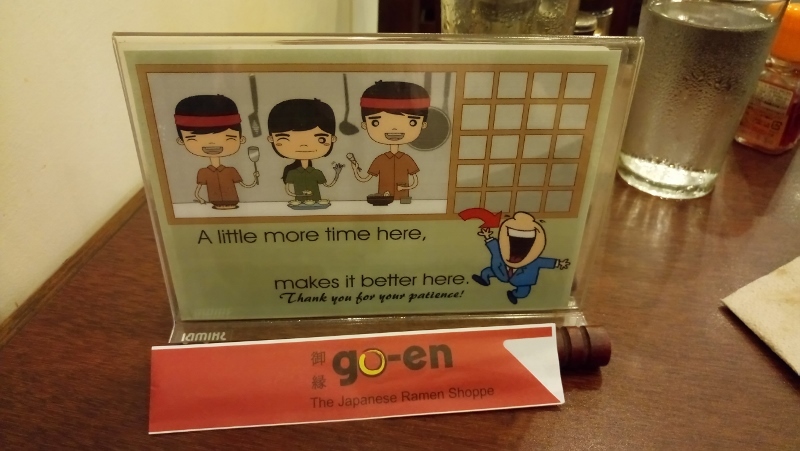 I love how Go-en maintains the simplicity and traditional ramen. They pride themselves as the real authentic one because their recipes is not adjusted for Filipino palate. Rather, they create certain dishes to adapt to local tastes. I will definitely be back for their ramen. Plus, don’t forget to order their mochi for dessert. I heard it’s a good one. I regret not having one.